On 3 and 4 of September the Istituto Superiore Mario Boella hosted a face to face meeting of all the FREME project members. It was a very productive meeting where we each reported progress, demonstrated our latest prototypes and discussed goals for the coming months and topics best brainstormed in person. We showed how our Ocelot plug-in uses all of the current v0.3 services of FREME platform (internationalization, translation, terminology, named entity recognition and entity linking) to aid translator productivity and build in semantic mark-up to add intelligence, ease of discovery and interactivity into our customers content. This was my first time in Turin and it really grew on me as time went on. The journey there made me realise how much I take for granted that I’ll be able to fly directly into my destination city and, more often than not, get a taxi to my meeting destination. Choosing to get just one flight meant getting late into Milan, staying overnight there and then getting a train to Turin the following morning. The train journey was a pleasure: clean, fast, plug sockets for every passenger and the beautiful view of the Alps. A late flight departure home gave me time to walk around Turin a little. 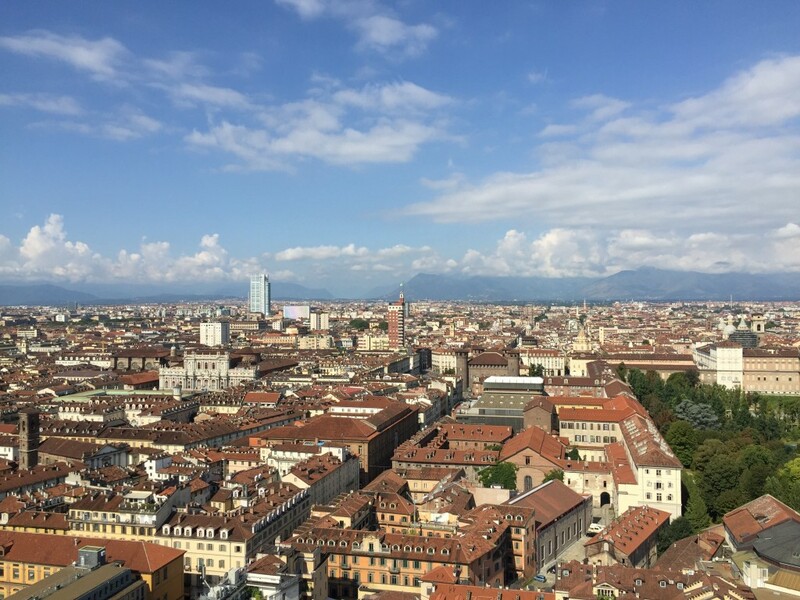 After an unsuccessful attempt to see the Shroud of Turin at the Museo della Sindone (because it is only shown one day each year), I got a ticket for the L’ascensore panoramico at the Museo Nazionale del Cinema. What a stunning view, particularly towards the west and north. This entry was posted in Uncategorized and tagged FREME on September 6, 2015 by admin.